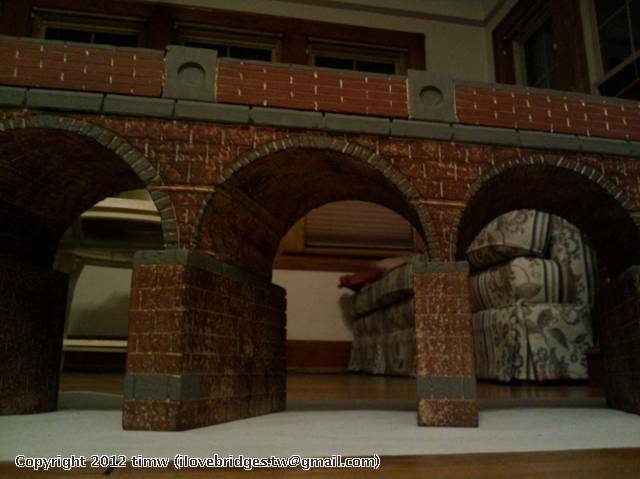 and....some additional photos of weathering process, and detail work on under arch barrels, voussoirs, keystones, and parapet wall. 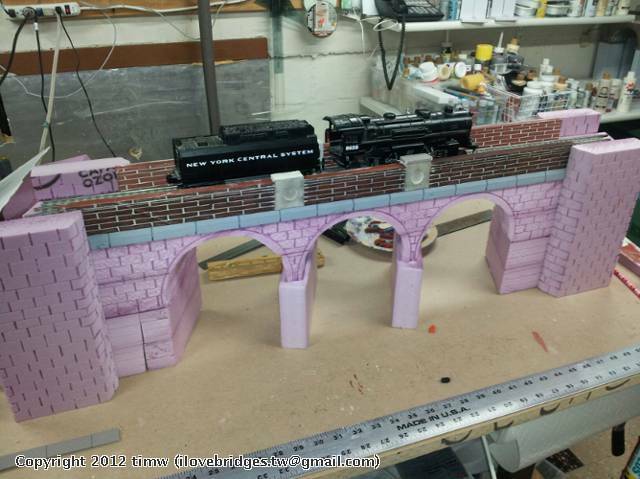 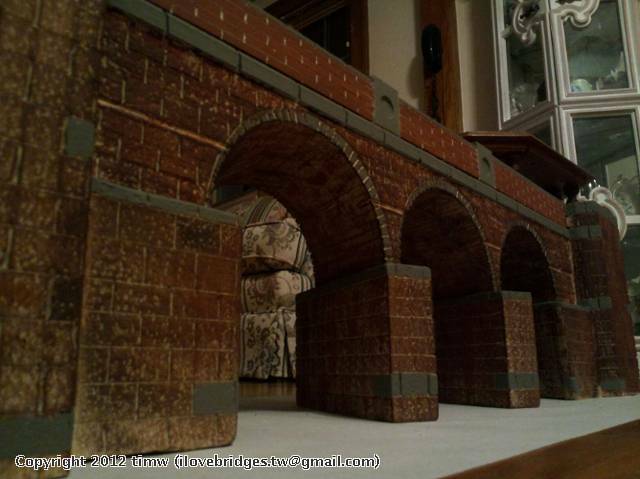 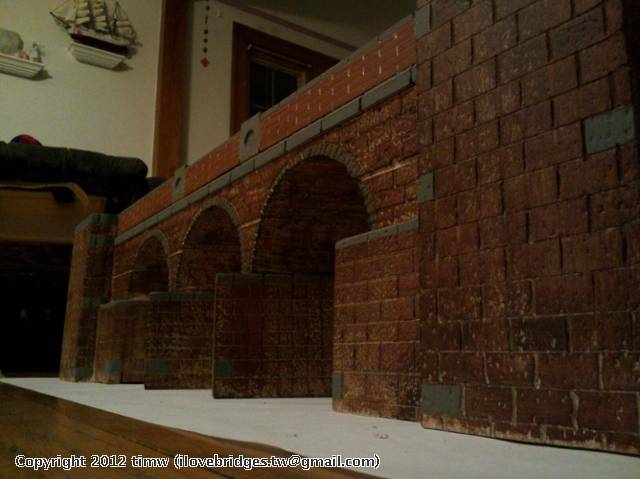 This type of bridge and various others can also be purchased directly from me or built custom to fit your layout. 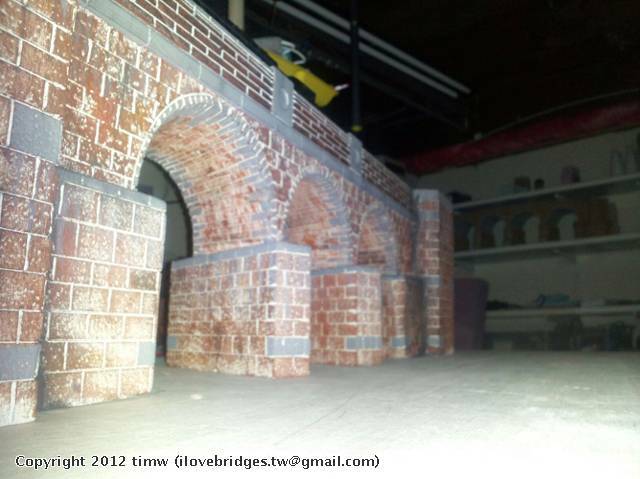 Prices are based largely on your budget and what you can afford, and I can be most reasonable and generous. 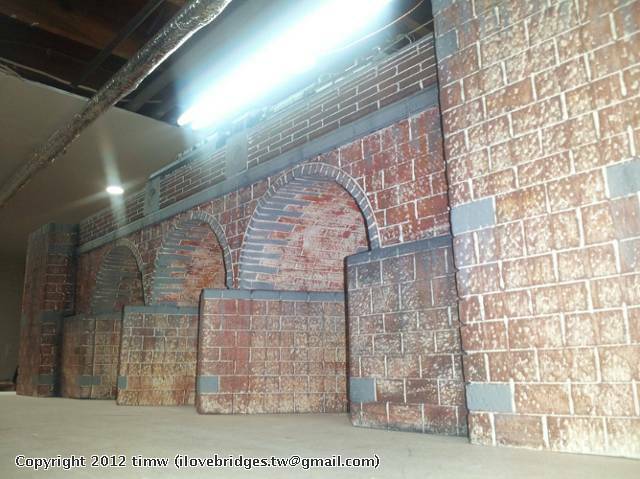 Thanks, I employed a new process that I have been testing on scrap material to enhance texture, thanks for noticing.